With the legal use of recreational marijuana set to take effect Monday, law enforcement agencies are bracing for people getting high then getting behind the wheel. Sergio Quintana reports. With the legal use of recreational marijuana set to take effect Monday, law enforcement agencies are bracing for people getting high then getting behind the wheel. Despite the new law for 2018, it will still be illegal to smoke marijuana in public and in your vehicle. Some cannabis dispensaries have ben growing more product and setting out their selections of items in preparation for new customers on New Year's Day. The California Office of Traffic Safety also just launched a public service campaign warning drivers about lighting up and driving. 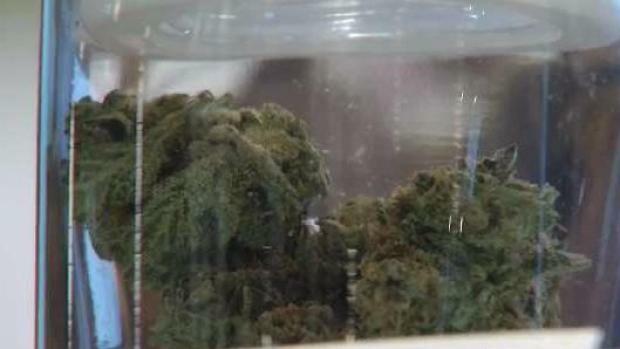 The sale of recreational marijuana is set to become legal in California. And if you're one of the many looking to legally buy pot in the Bay Area come Monday, you may have questions. Scott Budman has answers and advises to expect tight security, bring your patience and identification. And prepare to pay cash. State Sen. Jerry Hill, D-San Mateo, authored a law that bans passengers from lighting up in a car. "If you were to have an open container in the car, if you were driving and smoking or eating an edible of marijuana or someone in the car is smoking marijuana, that would be an infraction, just as it is today for alcohol consumption," Hill said. Some officers have been going through special training to help spot impaired drivers. But at the moment cops cannot use tools like breathalyzers because California has yet to adopt a standard to gauge how imapired drivers under the influence of marijuana might be. The CHP and researchers at UC San Diego are still working on establishing California's legal limit for using pot and then driving. Hill is also working on legislation aimed at drivers who may be using pot and drinking alcohol. According to his proposal, if a driver is just under the legal alcohol limit and has five nanogram of THC in their system put together the driver would be considered legally impaired.